What does this mean? I don't have these pages/directories but GA is showing them as pages viewed. I tried to follow the link and I didn't make much sense out of it. If you display a generic 404 page for those URLs, then Google Analytics may count it as a "page". With those pages, someone may be attempting to see if you're a proxy, or if your site can be used to redirect users. It's noise traffic that comes from scripts and bots. Unless you have a vulnerability on your site, it's really nothing to worry about. One possibility is as Ohnana said. 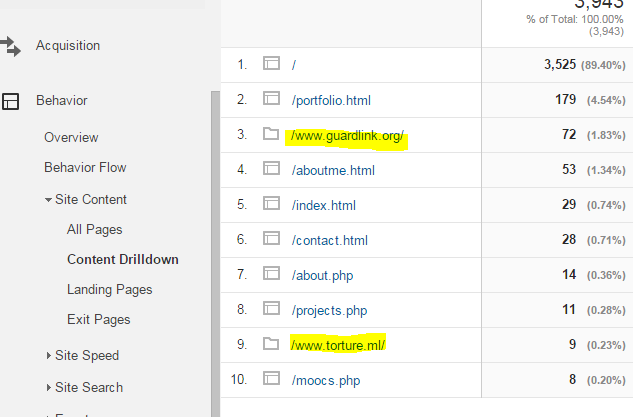 Another is that there are bots that send traffic data directly to Google Analytics server. These also may show as results. Sadly there's nothing you can do to stop them since they bypass your webpage completely. Here's a link1 about the issue.